Is It Useful to Promote Your Blog in Social Bookmarking Sites? 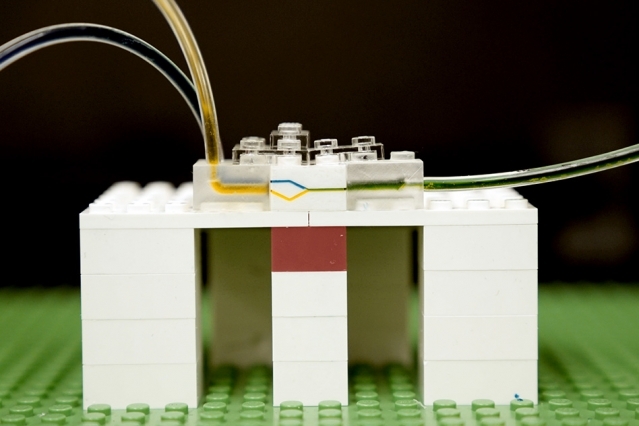 Researchers have found a way to make a tiny lab out of LEGO Bricks. Microfluidics is a field of study that manipulates fluids at a very minute scale. The field of microfluidics previously made use of a flat, two dimensional- chip like structures to create a lab where fluids could be mixed, sorted, pumped and stored. Microfluidic study is the study of manipulating fluids at a submillimeter scale and in order to manipulate such fluids, Microfluidic study uses tiny chips etched with channels which allow the fluids to flow. Microfluidic devices allow fluids to be manipulated under various processes all in one chip. Creating a chip with etched channels where fluids can be manipulated in various ways is not only time consuming but is also very expensive. 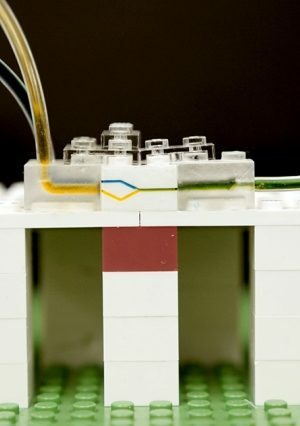 Researchers have now looked at a child’s toy- “LEGO bricks” for their microfluidic study. LEGObricks can be found anywhere in the world and any brick can snap onto the other without any difficulty. This advantage of being easily available and that the LEGO bricks can be used easily has made it an attractive option in the study of microfluidics. 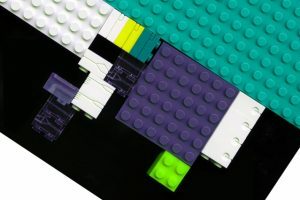 A team of researches purchased a pack of LEGO bricks and tried to build tiny channels into each brick and one of the ways in which a channel can be made into the brick involves micromilling, a process whereby submillimeter features are drilled into the brick to create a channel. Researchers have used this technique of micromilling to drill channels of various shapes in order to manipulate the fluids in various ways. The aim is get each LEGO brick have a particular process for manipulating channels and then the LEGO bricks could be used in various arrangements to create different labs for different purposes. In order to make a secure microfluidic channel in a LEGO brick the fluid should not be allowed to seep through any gaps in the system. Although LEGO bricks snap securely into one another there is always a gap between two brick walls where the channel of fluid is to flow through. This gap generally spans 100-500 microns. Researchers have found that by using an “O” shaped ring like structure onto the opening of each channel, the fluid would not seep through. The “O” ring can then be placed on the milled opening in the wall with a slight part projecting outwards, this created a fluid seal when LEGO bricks are place side by side. LEGO bricks are made of plastic and this makes them unfit for manipulating certain chemicals, also right now the only way to build a channel is through micromilling and micromilling allows only tens of microns wide channels to be milled into the wall of a brick whereas in microfluidics study, much smaller channels will be required. 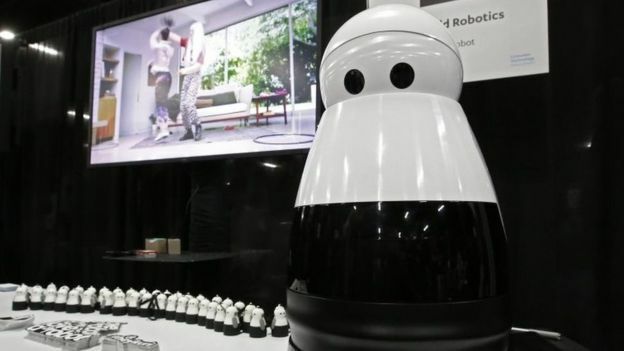 The CES 2018 was as glamorous, awe-inspiring and awesome as it appear to be every other year but this year we saw a rare breath of innovativeness and ambitiousness on the part of the participating OEMs. 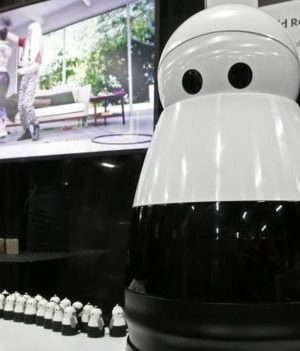 The biggest highlight of this year show was the uneasy presence of the humanoid robot named Sophia which left everyone speechless with its thinking and way of understanding the human problems but offering quirky and yet sometime chilling solutions. Another manufacturer came up with the first prototype named Concept which aimed at rivalling the popularity and monopoly of the Tesla electronic cars. On another hand Chinese giant Baidu has claimed that its app is generating extensive amount of data which can help in lending it an edge over its competitors when feeding it through the artificial intelligence. Here are some of the best devices or electronics which made their way to the CES 2018. Intel had come up with its own innovative and smart project consisting of Shooting Star drones which are designed to work together in an incredible way. This isn’t a highly sophisticated group of drones at work but they work on reading the GPS couple with the animation software which helps them to fly in formation. This Intel fleet of 250 strong drones doesn’t even have a camera system which is common among the drones of today but it relies on the GPS coordinates only. Intel is also working towards strengthening the security of the chips after recent negative stories surrounding its processors and some of the industry experts even stated that the display of the drones is an effort of part of Intel to divert people attention from chip security. Tech entrepreneurs are a different breed in itself and this year’s Courage Award has been awarded to Danny Manu who invented, manufactured and finally took his Click instant translation earbuds to the market in CES 2018. Click will certainly have a huge competition in front of it in the form of Google Buds but it is expected to make its way to the market in later half 2018 after missing its deadline in 2017. Not every invention rise up to the occasion or helps in making lives better but eventually ends up being a waste of time and resource. Kodak unfortunately wins this award at CES 2018 by unveiling a bitcoin mining rig which will help in ushering the cryto0-currency and block chain popularity further but that hasn’t seem to be the case. Furthermore this company even wants that photographers to be a part of its scheme wherein they can invest their time in creating blockchain and earning payment in the new cryptocoin called Kodakcoin which doesn’t have any certain value or usefulness in the modern world. But who knows this CES 2018 invention by Kodak might become a rage in a year or so. Everyone is looking for the latest in gadgets. Having a wireless and noise cancelling headphone like Sony WH-1000XM2 is one of the best gadgets you can purchase. It becomes easier to use when you are on the go, without getting entangled with any cables and the best part is you can talk to someone on the other end without too much background noise. Looking for the best noise cancelling headphones, then Sony has come out with its latest gadget, WH-1000XM2. The previous headphones by Sony, MDR-1000X also was in the top range as far as active noise cancelling headphones were concerned. Sony has gone one step further and has come up with its new update version, WH-1000XM2. In the latest gadget by Sony, the wireless and noise cancelling headphones (WH-1000XM2), great emphasis has been given to sound quality. The headphones provide a good fit and has a sleek appearance. The design of this gadget is simplistic and comes in black or white. The Sony WH-1000XM2 has a sleek finish, giving it a professional look. These headphones go around the ear, providing comfort as compared to those which have the usual earbuds. Adequate padding has been provided with the earcups and the headband area of the Sony WH-1000XM2. This gadget comes with the HiRes Audio5 technology, allowing for superior sound compression, which is the highlight in Bluetooth headphones. The sound quality of the Sony WH-1000XM2, is excellent, where all frequencies are equally presented and you can hear the finer details of your music. The highlight of this gadget is its noise cancelling ability. It eliminates all the sounds around you and allows for a noise free conversation. You can also listen to your favourite music without the distraction of external noises. Another feature added to this gadget is the touch interface. These headphones do not have any buttons, but with just using the touch interface, you can perform the basic functions. Nowadays, touch control is the rage among the latest gadgets in the market. By placing your finger on the earcup and moving it up or down, you can increase or decrease the volume. By tapping on the earcup, you can pause or play the music. By double swiping forward or backward, you can skip a track or go back to the previous track. With this gadget, one need not struggle to find the buttons. Along with the headphones, there is an airplane adaptor, a micro USB cable and a cable for wired listening. The Sony WH-1000XM2 is not very adaptable in producing and mixing music. They are not studio grade. This gadget tends to colour the sound a bit. Hence, if they have to be used for any particular purpose or any particular application, then these headphones are not the best. 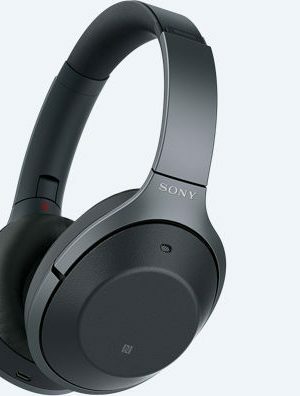 These wireless and active noise control headphones by Sony are a must buy. This gadget has a far superior audio encoding system than the other wireless headphones. This results in a high sound quality. They are sleek in appearance and provide for a high level of comfort. This gadget comes at a cost of $350. 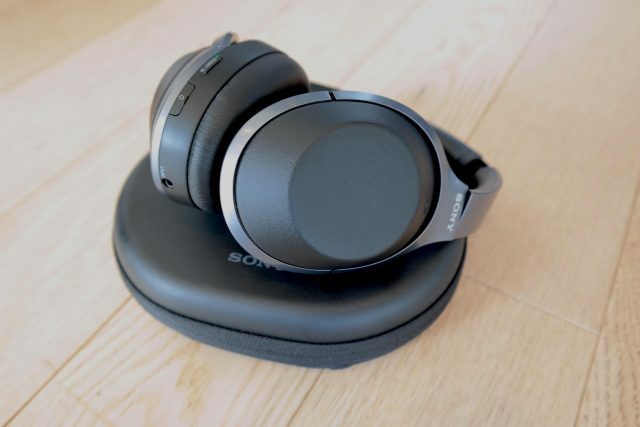 It is a bit steep, but with the excellent sound quality and active noise cancellation features, this gadget by Sony is a good buy. Some years ago, there was a craze among bloggers to promote their blog posts in social bookmarking sites. The hordes of visitors thronging the social bookmarks encouraged new entrepreneurs to launch bookmarking sites and they, in turn, strived hard to make it popular among bloggers and internet marketers. Within a year or two, the number of working social bookmarking sites rose to more than 200. Then the birds and animals were let out by the Google. I am referring to the Penguins and the Pandas that announced the change in Google’s search engine algorithms. Consequently, the links dropped by the bloggers in social bookmarking were devalued and thus came to the end of social booking networks. Of the then popular social sites, very few remain alive today though with a slightly different perspective and that includes reddit.com, dig.com, and Stumbleupon.com. Of the three, reddit is a much-respected site. There are some more social bookmarking sites but I suppose veteran bloggers don’t disturb them. 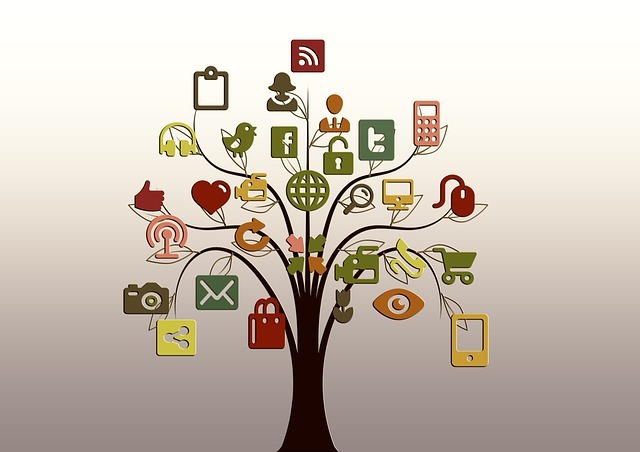 What is a social bookmarking site? I am sure I should have raised this question at the top of this post but my enthusiasm made me assume that all of you are already aware of them. We all use social bookmarking quite frequently either by using the browser bookmarking tool or use the keyboard shortcut ^D. (control+D) These favorites (bookmarks) of ours are stored only on our browsers to visit again. Social Bookmarking is simply taking the existing bookmark function used in browsers, and making it shareable with other people, or “Social”. 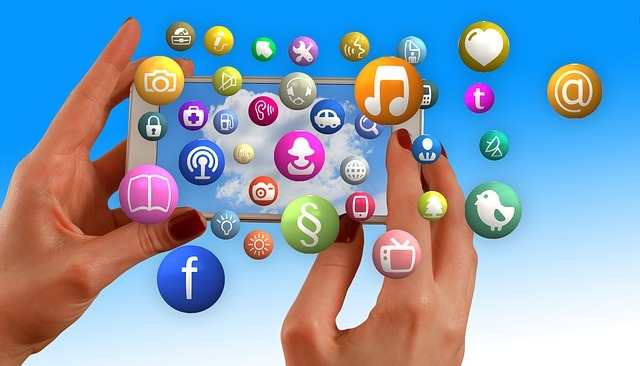 Social bookmarking is a method for Internet users to store, organize, search, and manage web pages as favorites on the Internet with the help of free social media sites. It’s a place online where you can share your blog posts with other users. This act of sharing is called social bookmarking. All the social bookmarking sites provide a button to vote beside each article/story shared by the members. If you vote other people’s sites and they vote your site. The number of votes received was indicated beside each bookmarked link. The more the votes your link gets, the more visitors your link gets. When you comment on other’s posts, then you will soon have a network of links pointing back to your site. Sometimes, your link is moved to the top of the featured links by the site owner and this sent a truckload of visitors to your site. 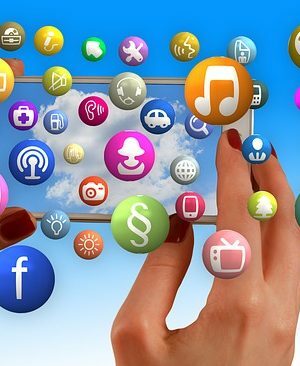 Why social bookmarking sites became popular? 1) They get a lot of traffic due to their utility value. Members often return to read the latest stories and share their own. Thus a member pays a number of repeat visits and this, in turn, increased the popularity of social bookmarks. 2) The advertisers reached out to social sites and their revenue hit the roof. 3) Though every social bookmarking site is different and the interface sometimes proved to be a challenge to the users, users thronged them because they got genuine targeted visitors to their links. 4) The social bookmarking are free and it takes a minute to register and bookmark your first link. 5) No limit was imposed on the number of links submitted. 6) A few newly launched social news sites used the feeds of these social bookmarks and that became another lucrative online business. 7) Most social networks are to be search engine friendly. When the linkbacks you get were valued by the search engines, naturally, your site’s Google Page Rank got a boost. All these advantages were history for the Internet marketers. There is really no point in dropping links in social bookmarks as there is really no interaction taking place there. They have all become a link dumping yard. However, as I said earlier, one can still use Reddit and result can be staggering but it is sad that not many bloggers have understood the working of Reddit and its 8000 plus subreddits. The Digg is now a social news site and it is better to stay away from it. My vote is for Stumble Upon as they have somehow persisted in spite of Google’s storms and is still being actively used by the bloggers. Digital assistants were simply a over glorified feature in the mobile phones just a few years but currently it is seen as added luxury oozing with utility. Amazon has begun the unexpected war of the digital assistants with the launch of the Alexa voice assistant on the iPhone. 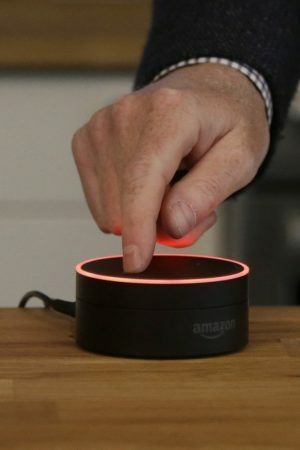 Amazon is making this digital assistant available through its very own iOS based shopping app though Alexa will be sorely missed on the Android platform for some time. 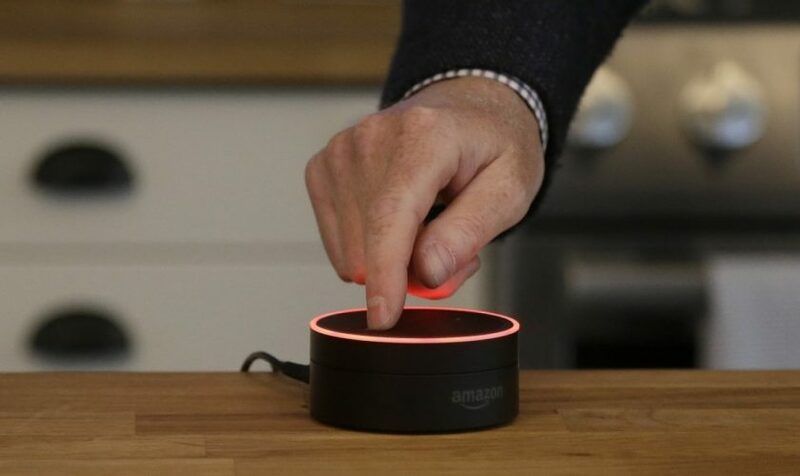 Alexa will be giving stiff challenge to the Apple’s own digital assistant Siri and Microsoft’s Cortana as well. In short iPhone users will be spoilt for choice with multiple digital assistants. Alexa happens to be a core part of the Amazon smart home line up of devices and most importantly the Echo speakers. Alexa has shown its mettle in answering the questions, performing varied skills and setting times as per the need of the users. It has helped in making people aware of the smart home appliances and how they will be controlled in a more interactive and decisive fashion in the upcoming future. It just like any other digital assistant simply say ‘Alexa’ and follow it up with your command. Users with Amazon Tap or Amazon Fire TV voice remote then they are required to press the button in order to wake Alexa. Amazon is growing the list of commands for Alexa and it is designed to understand the natural language with ease and simplicity. The best thing about Alexa is that it can easily comprehend complex command or even when users omit a few words from the command. Alexa on iPhone comes with fairly limited options but it is expected to grow as more and more users start making active use of it. Setting a time or getting news pulled up is bit difficult in the beginning but as the AIexa gets a hold of it things gets seamless. But Alexa works like a charm when asked to make a search on the Amazon.com for any product. On other side Microsoft Cortana is great at scheduling meeting and setting up the reminders but still it happens to be better suited as a desktop or laptop assistant rather than iPhone assistant. Secondly users are required to make a separate download in order to get it work on the phone. Thirdly users will have to open the app in order to make use of it which is quite frustrating. Siri works as the default digital assistant on the Apple’s iPhone and therefore it has a number of advantages. It has the coveted always on function which is deeply integrated with the voice assistant therefore it a great at getting a number of job done from opening mails, setting timer, calling others and much more without breaking a sweat. Siri is extremely capable & more than enough and very soon people will find that having multiple digital assistants installed isn’t a good thing.